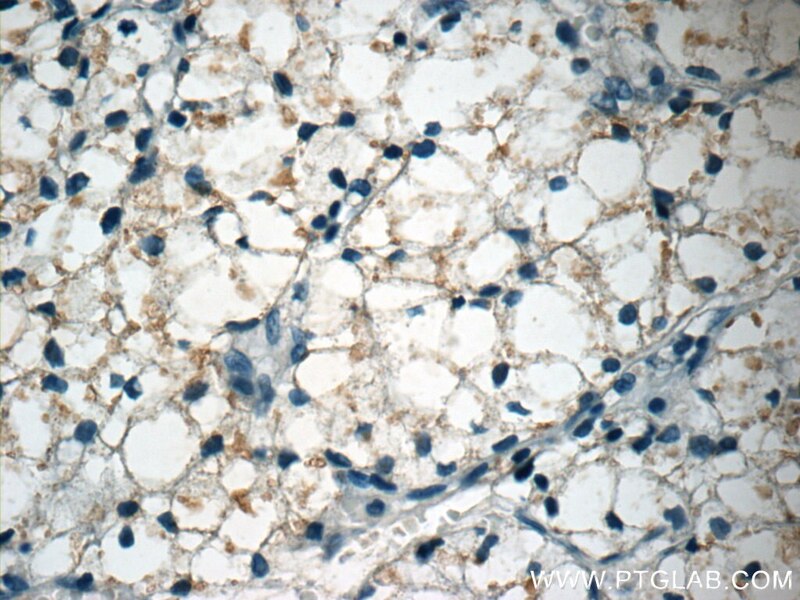 IP Result of anti-CTGF (IP:23903-1-AP, 5ug; Detection:23903-1-AP 1:1000) with mouse brain tissue lysate 2640ug. 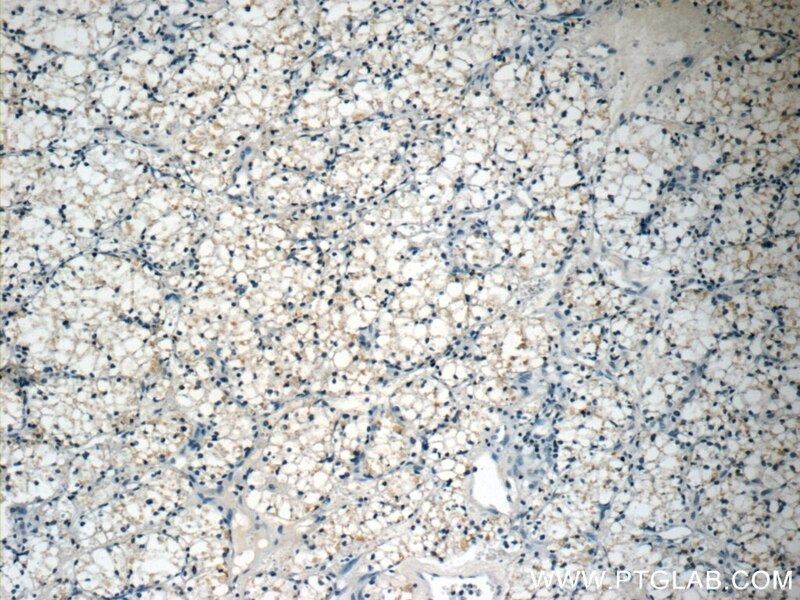 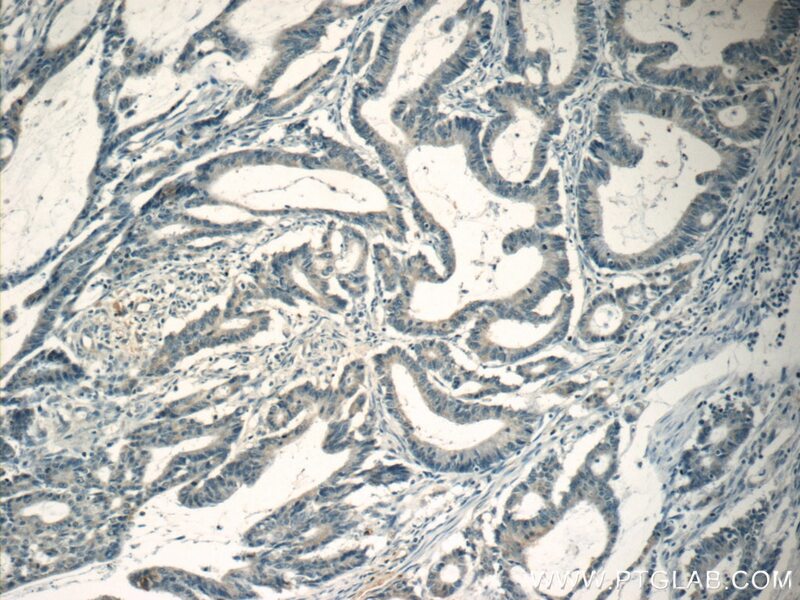 CTGF, also known as CCN2 or connective tissue growth factor, is a member of the CCN family of matricellular proteins. 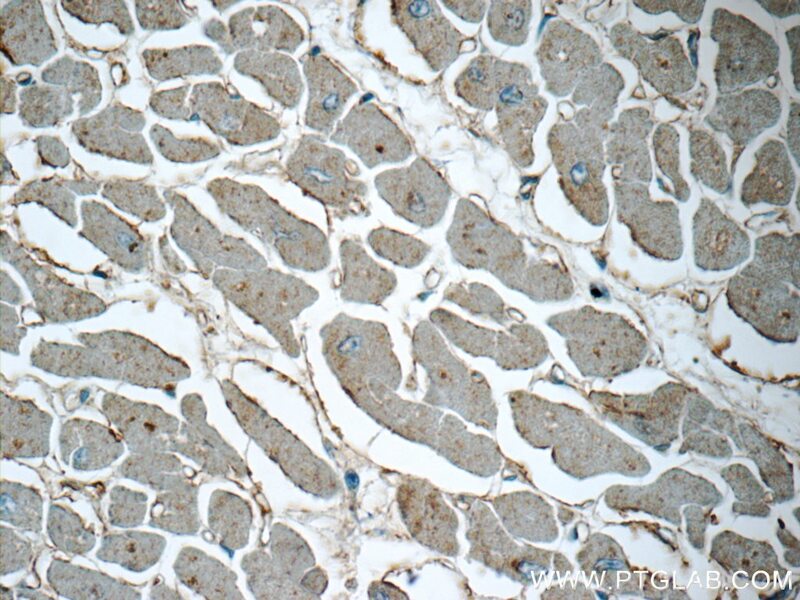 CTGF, a cysteine-rich, matrix-associated, heparin-binding protein, is widely expressed in various human tissues and organs. 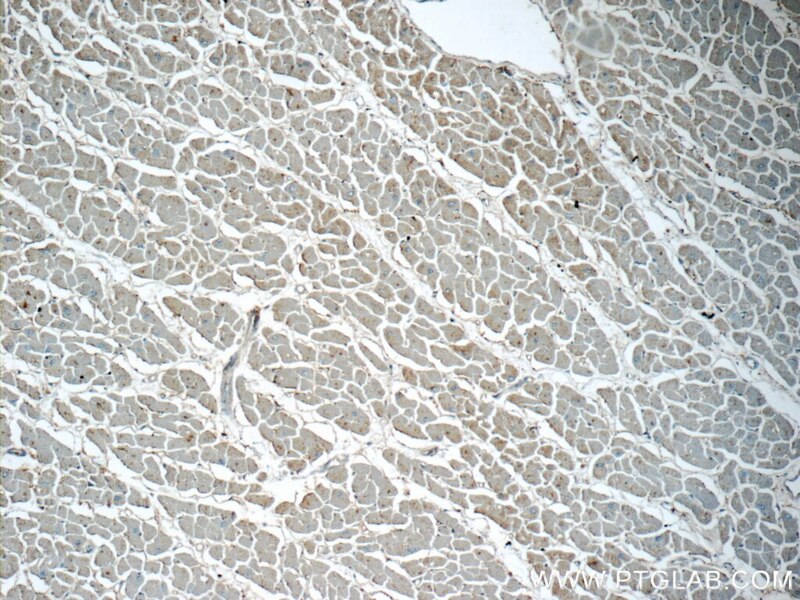 CTGF has important roles in many biological processes, including cell adhesion, migration, proliferation, angiogenesis, skeletal development, and tissue wound repair, and is critically involved in fibrotic disease and several forms of cancers. 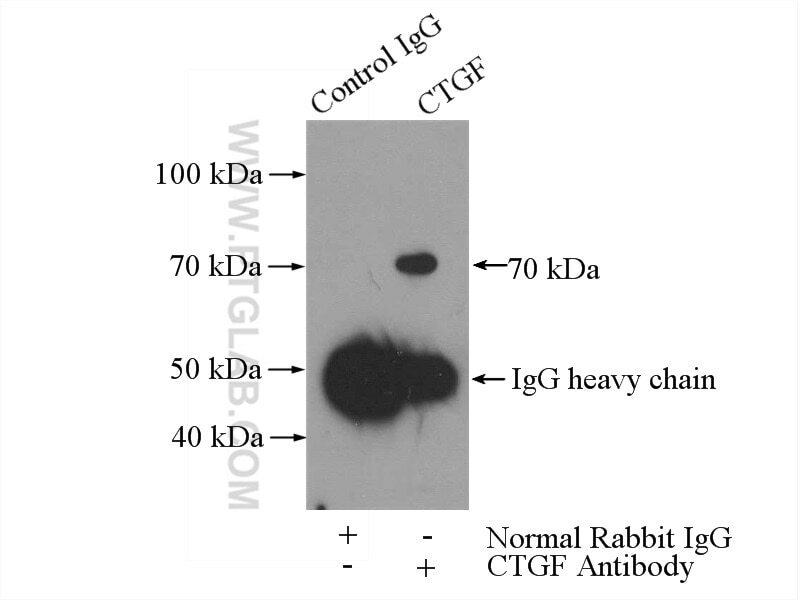 In western blotting, there are three different forms of CTGF reported: monomeric forms at approximately 36-38 kDa, homodimeric forms at approximately 70 kDa, and lower molecular mass fragment forms. 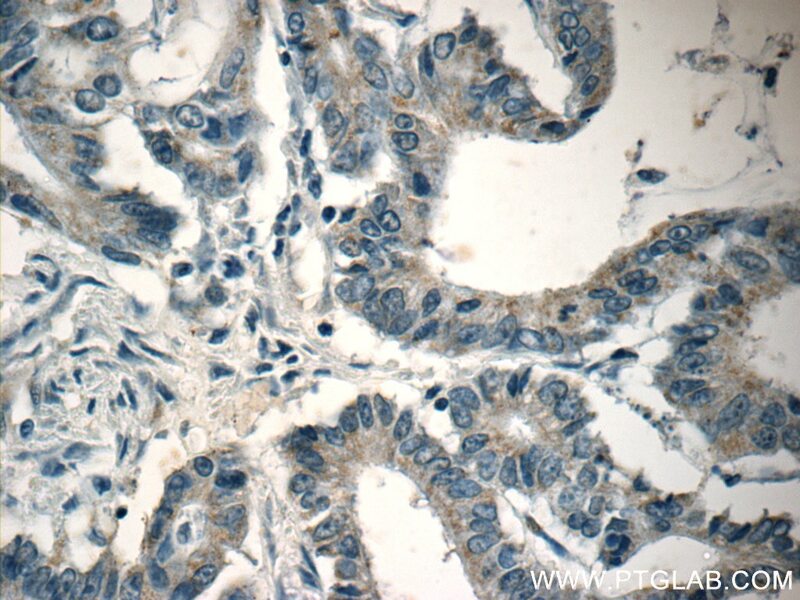 CTGF enhances resistance to 5-FU-mediating cell apoptosis through FAK/MEK/ERK signal pathway in colorectal cancer.